Many people would avoid the idea of traveling alone, but those who take the chance often discover that solo travel is a wonderful way to see the world, make new friends, and discover more about yourself in the process. Traveling on your own allows you to make memories, build your character, and face your fears. However, that isn’t to say that traveling alone is risk-free. Here are some health and safety tips to help you stay safe and well on your solo adventure. It’s not unusual for solo travelers to want to make the most of their adventures, by taking part in activities and sports that they may never have had the courage to try earlier. Solo travel opens up a whole new world of adrenalin-inducing experiences such as bungee jumping, skydiving, or many water sports. If you’re using your solo adventure as a way to face your fears and enjoy extreme activities, make sure that you’re using the right protective gear. Usually, this will be provided to you, but it’s also a good idea to take along items of your own, such as these water shoes for women, which can be used to protect your feet on the beach or during a range of activities such as boating, kayaking, and surfing. Understanding a little bit about the local culture of your destination before you arrive will make it easier for you to present yourself well to the locals that you encounter. This is especially true when choosing what to wear. Whether you agree with it or not, the fact is that many cultures today are still very restrictive when it comes to women’s clothing choices and would find it offensive for a woman or girl to wear fashion items such as short skirts, low-cut tops, or sleeveless dresses. Keep this in mind, as avoiding standing out too much is always safer when traveling solo. It’s a good idea to learn some language basics for your destination and get to know any hand gestures that are offensive to the culture – for example, the ‘OK’ finger sign would get you in trouble in Brazil. Whilst solo travel is a great way to make genuine new friends and meet some amazing people who’ll enrich your life, it’s also important to bear in mind that not everyone you meet may have the best of intentions. For new solo travelers, it can be a good idea to stay in a hostel, where you’ll have the support of staff and fellow travelers who aren’t strangers to the concept of traveling alone. In addition, connecting with other solo and group travelers at a hostel can be great for finding new friends to share your travel experiences with. Not everybody should be treated with suspicion but try to get to know somebody a little better before you trust them with more details about yourself. When you’re traveling with other people who you know and trust, leaving your bags or passport with them won’t be a problem for you. However, when traveling on your own, you need to be prepared to keep a closer eye on your things than usual. Keep your belongings as close to you as possible when on the road; try to have them on your person rather than on the floor or hanging on the back of a chair. If you need to put your backpack or bag down, place it on the ground between your feet. Once you arrive at your accommodation, make use of any safe facilities that may be available for storing your valuables. When using public transportation, try to stay awake and alert – it may be a good opportunity to catch up on sleep, but that leaves your belongings more vulnerable to theft. You may want to use cable locks or a pin-protected padlock to better secure your bags. As a solo traveler, you’ll know that being on your own immediately makes you easier to isolate and take advantage of. Since traveling on your own can be all about meeting new friends and creating connections with others from around the world, finding, creating, or joining groups wherever possible will not only help to enrich your social experience when traveling alone, but also help to keep you safe. You can arrange groups before and during your travels, thanks to the internet. Use social media to find other travelers who’re going to be in the same place as you at the same time and get to know them better before you arrive. If you are traveling alone and find yourself in a risky situation, try to attach yourself to a group – for example, sit near them and ask them a question. Joining tourist activities as part of a group of strangers with a guide is often a safer way to see the main sights, but be sure to always book from the main ticket office and look out for potentially suspicious ticket sellers outside. If you’re going out, it’s a good idea to find somebody who you can trust with your location and the time you’re expected back. If you can’t find such a person in your destination, tell a friend or relative back home, with a promise to text or call them once you arrive home safety by a certain time. If you’re staying at a hostel or hotel, you can inform the front desk or hostel owner of your plans for the day, or a fellow traveler whom you’ve gotten to know – especially if you’re able to do the same for them. 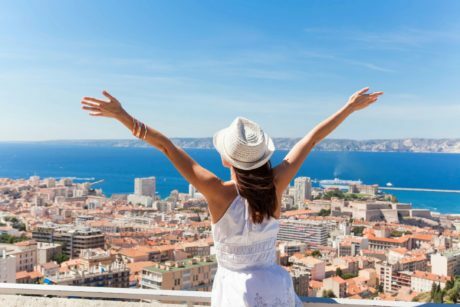 Solo travel may seem like a scary prospect, but it’s certainly worth trying! Being vigilant and prepared when enjoying both solo and group experiences will help you ensure you stay safe and well throughout your adventure.